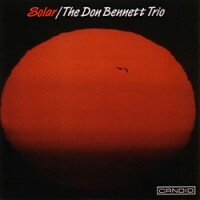 To all those who are hearing Don Bennett for the first time, this set will be a great treat. 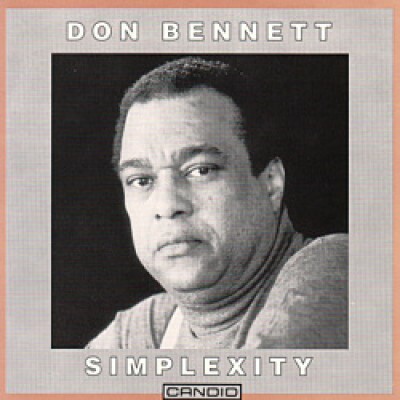 This trio session, appropriately called 'Simplexity' is another formidable testament to Don Bennett's mature talent, containing six further examples of his compositional skills and half a dozen more familiar works from the jazz standard repertoire. For this high octaine date, Don once again engaged drummer Doug Sides, with whom he had played frequently for a couple of years. 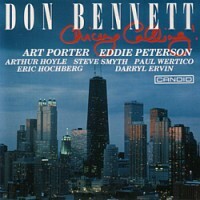 Doug has been heard with Johnny Griffin, Sonny Stitt, Kal Winding, Walter Bishop, Lionel Hampton, Clark Terry, Harry Edison, Blue Mitchell et al. Completing the trio is master bassist Alex Milosevic, who was born in Novi Sad, Yugloslavia, and has accompanied John Scofield and Michael Brecker concerts and in jazz workshops.